Notes: The U.S.S. 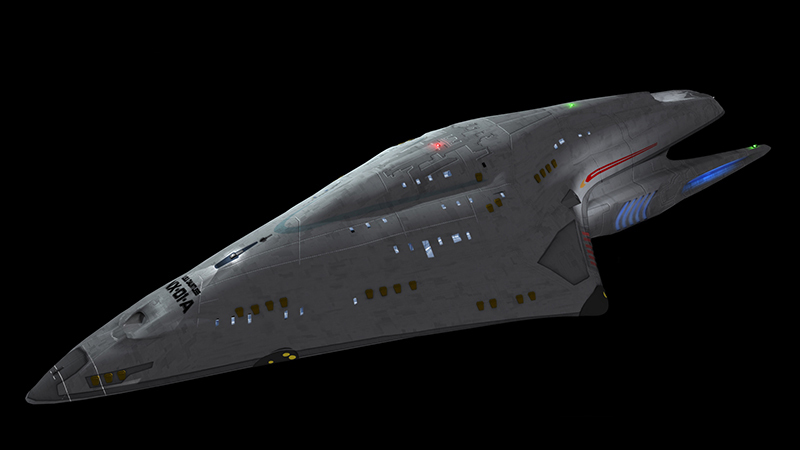 Dauntless is not a Federation starship, a member of a Delta Quadrant species used particle synthesis to re-design the ship so it would pass as a Federation design. The Dauntless was intended to be used to deceive the crew of the U.S.S. Voyager into being assimilated by the Borg. 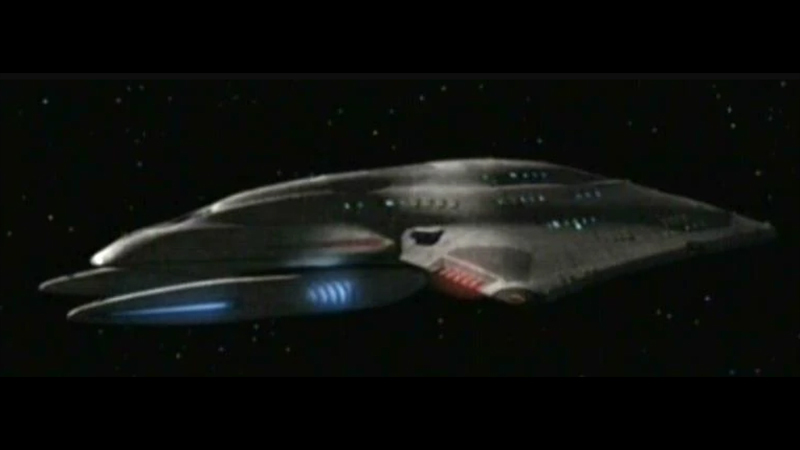 The Dauntless was equipped with a quantum slipstream drive, functioning much like a transwarp drive, which would allow a ship to travel 50,000 light years in a matter on months.